PayPal is looking to get into the storefront business, and if your small business deals in a lot of customer contact and taking payments, you’ll want to keep abreast with the recent developments. 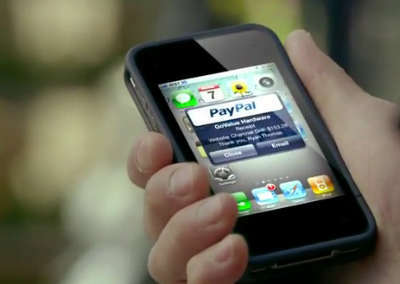 As it turns out, PayPal’s digital wallet service is about to get much more robust than you might think. For instance, the wallet system will provide an extra note of flexibility in terms of payments. For instance, if you had, say, a JCPenney credit card, you might be able to use it to pay for purchases at Best Buy. You’d also have the ability to buy something in a store, pay for it, then change your payment method within five to seven days of actually buying the thing in question. So if you bought something with airline miles, for example, but then decided your aunt was having surgery and you needed a plane ticket, you can switch that payment out to a gift card or loyalty points. And that’s not all; there will be a variety of other options, including the ability to make your own wish lists, like Amazon allows, as well as the ability to search for other items and compare prices among retailers of similar offerings. Plus, PayPal will even be able to locate special sales and coupons for those things you’re after to give you the best shot at the best price at any given time. Users will even be able to set up specific rules for their credit cards, bank cards, and similar financial tools. The services are set to start rolling out in May, so you can make some considerations as to whether or not you’ll want to use them, and how your business can respond to this new influx of capability. Basically, PayPal’s about to hand you a significant opportunity to improve your small business’ fortunes, especially with a little work beforehand. If you haven’t already been considering coupons and special deals for your business, then you may want to step up your efforts on that front. Getting your business’ coupons and deals listed with PayPal will give you a good edge of free promotion, and that kind of no-budget shot in the arm never hurts. And since PayPal has an active user base measuring fully 100 million users, it gives you some serious extra possibilities. And since PayPal isn’t dependent on any specific device, it provides the opportunity to expand them from there, giving you not only access to PayPal’s customer base, but also those who weren’t originally in your area. 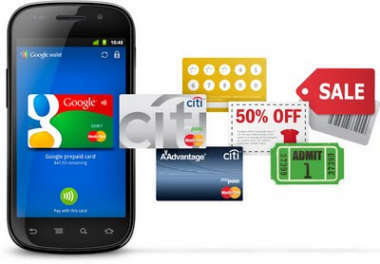 And while PayPal will have plenty of competition in this market space, for you to take advantage of all the payment services out there is not only a smart idea, but one that might give your business a substantial boost. Naturally, if you’re out to get more customers, you’ll want to be ready to support those customers with cloud-based telephony services like find-me, follow-me and toll free numbers to make sure it’s easy to get a hold of you. And once you have the customers, and keep them, your business will have a much better outlook.